With recent crazy weather in my hometown, I thought these potatoes were especially relevant to this week's challenge of concession foods. They're not only crazy easy to make, but they can be served alongside other foods-on-sticks like these equally as easy corn dogs! All you really need for this recipe is potatoes and a deep fryer (or even just a few inches of oil will suffice) and whatever spices you want to flavor it with. 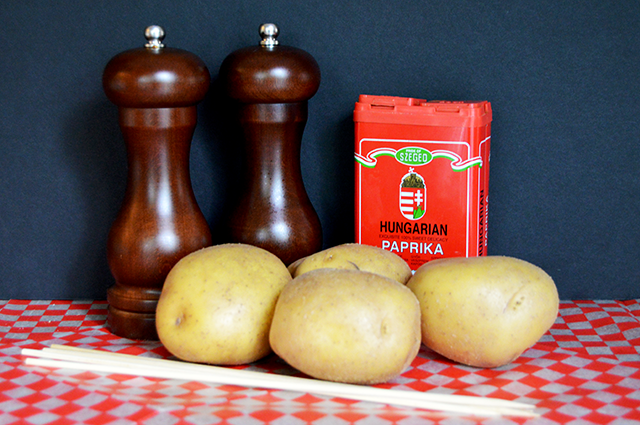 I chose Hungarian paprika for some kick, but also sprinkled on some garlic and onion power at the end as well. 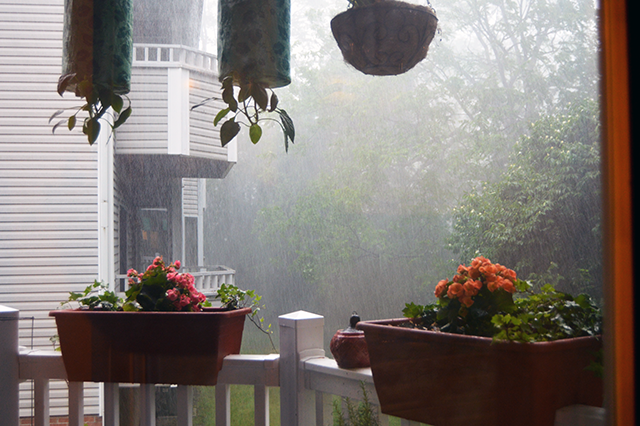 As I was making these potatoes, the weather in my current town took a turn for the worse as well, strangely enough. Now on the fun part! 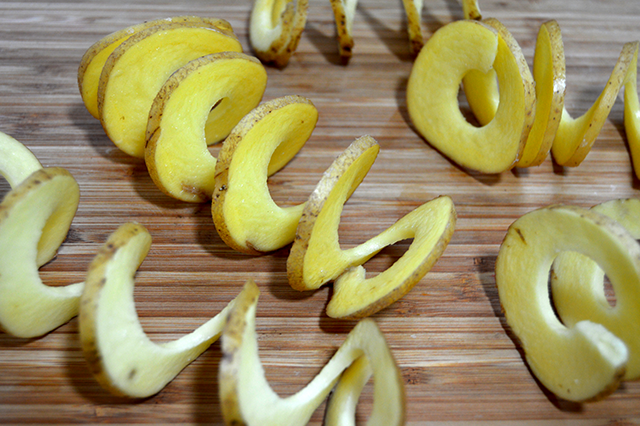 If you have an apple corer, then this whole recipe just got that much easier. 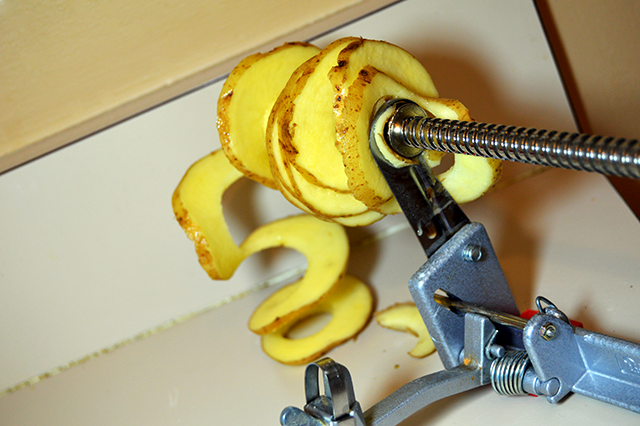 If you don't have an apple corer, I've found a quick video that shows you how to do it by hand. I would have done it this way, except...I have an apple corer and I'm lazy. Just press the potato onto the corer and take off the skinner on the side. Then spiral cut your potatoes! Keep the centers for another recipe if you insist. 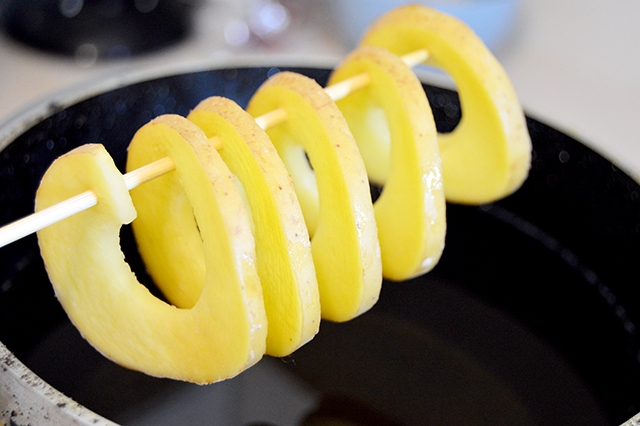 I then split each potato into two spirals, then skewered each about half way up the skewer. Deep fry for 2-3 minutes, or until crispy. If you don't have a deep fryer, just bring a few inches of oil up to 350*F in a large skillet, then rotate the potatoes in the oil to cool them through! 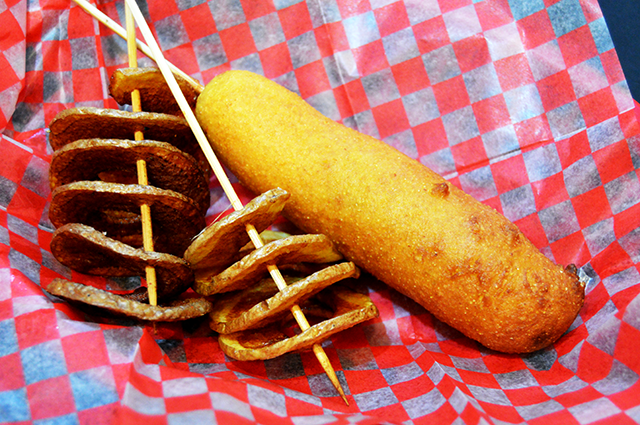 Serve alongside some other deep-fried goodness like corn dogs. Preheat deep fryer to 350*F. Clean each potato thoroughly, then either use an apple corer or spiral cut the potatoes by hand. 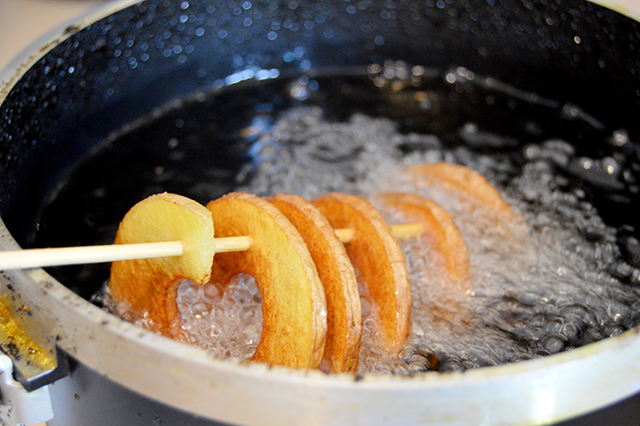 Skewer each potato then fan out the layers down the stick. Place into the deep fryer until covered with oil, and rotate occasionally for even cooking. Deep fry 2-3 minutes or until the potatoes reach desired crispiness. Drop onto plate lined with a paper towel to dry excess oil. Sprinkle on toppings immediately, serve, and enjoy! Need a Dessert? 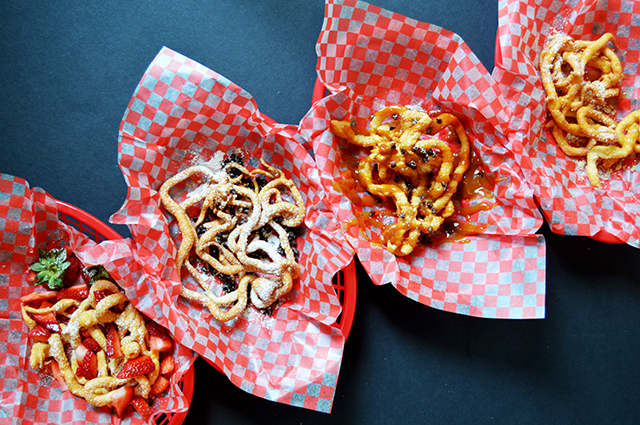 Try another fair classic - funnel cakes!